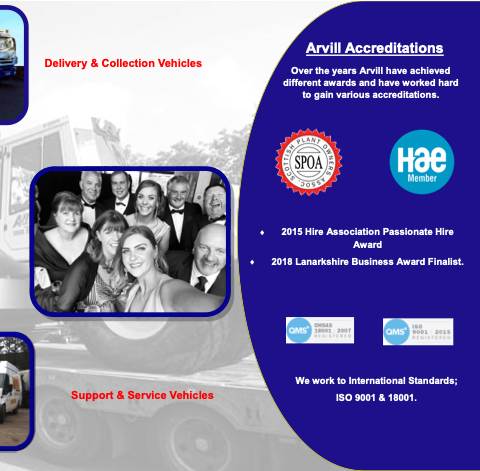 Over the years Arvill have achieved different awards and have worked hard to gain various accreditations. 2018 Lanarkshire Business Award Finalist. We work to International Standards; ISO 9001 & 18001.